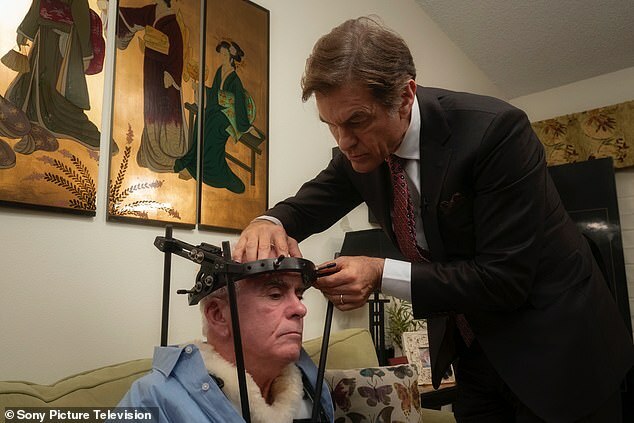 George and Cindy Anthony sat down for an emotional interview with Dr Oz that is set to air on Monday, speaking out for the first time since George’s near-fatal car crash. And in a preview for the interview, Dr Oz wastes no time asking the question that most people are wondering: Did he hear from his estranged daughter Casey? ‘She did reach out to see how I was,’ reveals George. That is a shocking turnaround for George given that Casey’s defense team suggested during her daughter’s murder trial that her father may have been the culprit in order to cast reasonable doubt. Her lawyers also accused him of sexually abusing his daughter, a move that permanently fractured the family. George was also asked if this crash was a suicide attempt. ‘There are some who are arguing that this may not have been an accident. What would you say about,’ asked Dr Oz. ‘Well they’re definitely wrong. They really don’t know the person I am inside and how far I’ve come,’ said George. Cindy then chimed in to reveal the two were even planning on getting Christmas decorations that afternoon. ‘I had every reason to come back and be with her and be here for Christmas,’ added George. George was able to be released from the hospital just before Christmas, after almost a month in the hospital. At the same time, his wife Cindy created a GoFundMe page seeking donations to help with her husband’s medical costs. That version of events is somewhat at odds with the crash report, which suggest Anthony was ill and may have lost consciousness at the time of the crash. She is hoping to raise $100,000 for his case, and the couple are set to lose their home to foreclosure in just a few months. 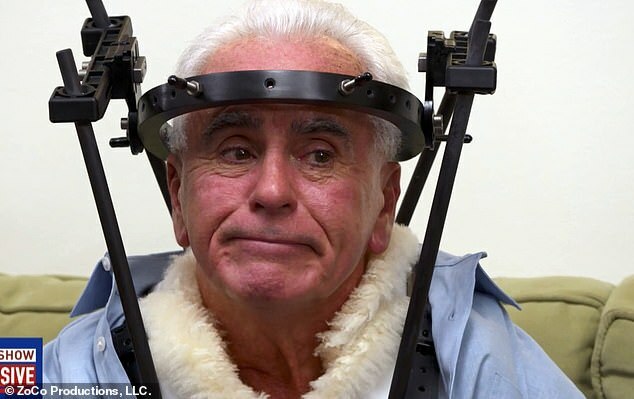 The Florida Highway Patrol said that the father of Casey Anthony veered off the road while driving on Interstate 4 on November 24 and then flipped his car multiple times when he tried to return into the lane of travel. Anthony was in a serious condition when he left the scene in a helicopter and has suffered ‘incapacitating injuries’. He is recovering at the Halifax Medical Center. DailyMail.com was able to obtain the 911 calls made by some of the drivers who witnessed the event, with one stating multiple times that she saw Anthony suffer a seizure just before he went off the road. That same called implored emergency responders to the get to the scene as quickly as possible, saying ‘it’s bad’ and growing increasingly hysterical as she was asked to give more exact information. She said that Anthony was ‘covered in blood’ before describing how she watched him drive into some pushed on the right hand side of the road before jerking his car and flipping over in the opposite direction across three lanes of traffic. 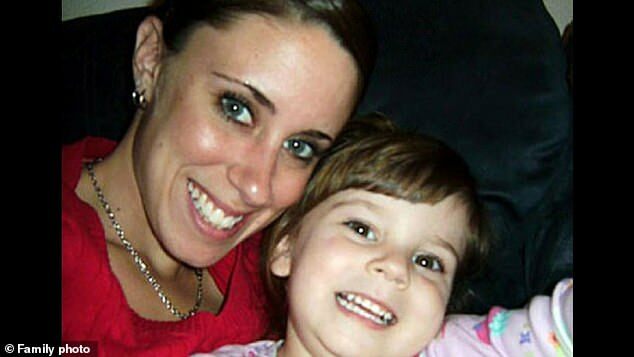 The crash occurred almost 10 years to the date that officials discovered the bones of Anthony’s granddaughter Caylee, who many believed was killed by her mother Casey. Casey was later found not guilty of the child’s murder. The trial destroyed her relationship with her father, who the defense claimed had sexually abused his daughter from a young age. The defense also claimed that it was George who was responsible for Caylee’s death, arguing that he hid the body after she drowned in his pool. That was enough to set Casey free, but her father was never tried, charged or convicted of a crime in the case. After flipping multiple times, Anthony’s car eventually came to a rest on the median. Troopers were then forced to briefly halt westbound traffic on Interstate 4 so a helicopter could fly in to medevac Anthony. He was able to tell a trooper at the scene of the crash that he had no memory of what was happening before the accident, and it is still unknown what caused him to briefly lose control of the vehicle. Anthony was not suspected to have been consuming alcohol or drugs by those who responded to the scene, and was not tested for either at the time. Anthony was wearing both a shoulder and lap belt, but the airbag in the vehicle did not deploy according to the report. The car he was driving at the time, a 1999 Toyota 4Runner, is registered to his wife Cindy. She was not with him at the time of the accident. Additional 911 calls made by fellow drivers were also obtained by DailyMail.com. The first person to reach out lost service before they could report the accident, but the second caller was able to give a location and description of the crash, but said she did not stop because it seemed too dangerous. Anthony was blunt and straightforward in an A&E special last year about his daughter, stating that he believes his Casey had been drugging Caylee in the months before her death, and that is what caused Caylee’s death. Casey’s mother Cindy said she was happy with the verdict, and admitted that she and her daughter still speak. George said he will never again have a relationship with his daughter. ‘I don’t believe that she drowned in this pool. I don’t believe it,’ said George. He then explained how he arrived at his belief that young Caylee was being drugged by her mother. ‘Caylee was always a very healthy child, a very healthy girl, but there were times that she would sleep for 10, 12, 13 hours at a time, makes no sense to me,’ said George. His daughter lives in Palm Beach, and it was recently revealed that she is in a relationship.